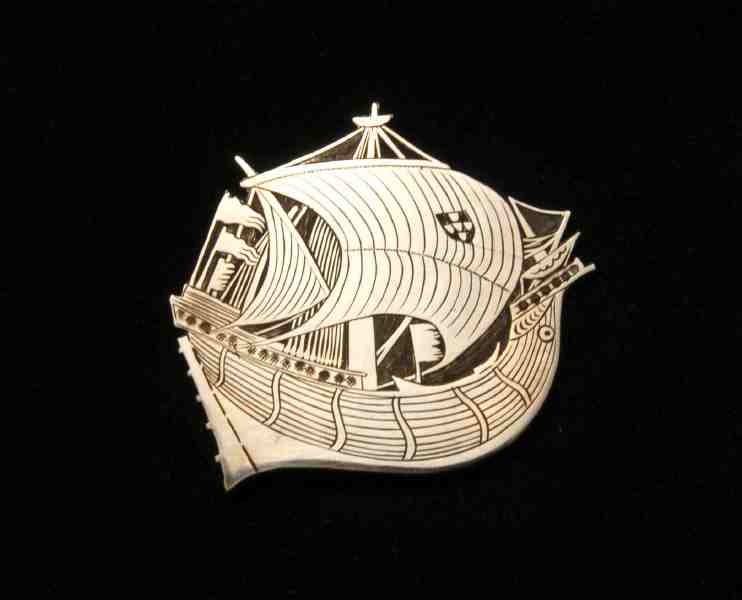 The inspiration for this pin came from 15th Century Spanish bowl depicting a Portuguese merchantman. I like how the details of the rigging and sails are correct, but the proportions of the hull are not. This is cut from sheet, engraved by hand, and a handmade pin and catch are soldered on the back. A one of a kind object. Why does Tom Curran do what he does?